Bi-fuel generators provide end-users with the advantages of using both diesel and natural gas fuels while minimizing the disadvantages. Diesel fuel is used to start the engine and, as load is applied, the transition is made to a blend of diesel and natural gas. The diesel fuel remains necessary to maintain ignition of the natural gas, but in bi-fuel mode diesel consumption is only a small percentage of full diesel operation. Utility-supplied natural gas provides extended run times, which can be a significant benefit during major storms or other events where diesel fuel deliveries can be compromised. “The standard diesel governing system runs continuously; during sudden load changes, diesel instantly becomes the dominant fuel so the system reacts just like a typical diesel generator,” explained Mark Sweeney, Business Manager-North Central, Generac Industrial Power. Bi-fuel generators also have lower diesel fuel management costs. With the EPA’s new regulations aimed at reducing emissions from diesel engines, the use of ultra-low sulfur diesel (ULSD) in mandated in all standby generator applications. ULSD goes through additional refining processes which makes it less stable than traditional diesel fuel. This requires the fuel to be polished more frequently to ensure the fuel does not degrade and/or clog the engine filters. With bi-fuel generators, less diesel fuel has to be stored on-site, resulting in lower costs. At the same time, because on-site diesel fuel is still part of the system, reliability is improved. Should the natural gas supply be interrupted, the generator can run on 100% diesel fuel. The system will automatically and seamlessly switch to 100% diesel operation with no loss of power during the transition. Generac Bi-Fuel™ generators meet the on-site fuel requirements for emergency systems as referenced in National Electric Code 700 and National Fire Prevention Association (NFPA) 110. Less on-site diesel fuel typically means easier permitting, and indoor fuel installations with capacity limits per NFPA or local codes become a viable option. “Generac is the only manufacturer supplying bi-fuel standby generators directly from the factory, providing the key advantages of factory testing and a factory warranty,” said Sweeney. “Other manufacturers have to convert their generators to bi-fuel by adding third-party after-market equipment which can lead to problems. There is also the question of responsibility should something malfunction on the generator,” he added. The market has shown significant interest toward products that burn inherently clean natural gas as an alternative to diesel solutions. Bi-fuel generators utilize up to 75% clean burning natural gas providing the market with another viable fuel option. Though natural gas is very clean burning in many respects, natural gas combustion does produce an increase in CO emissions. Generac Bi-Fuel™ units remove this additional CO with an oxidizing catalyst integrated into the generators muffler. Generac also ensures the Bi-Fuel™ units are operating within the full compliance of EPA emission limits, including CO emissions. This factory verified approach ensures customers will not have EPA compliance issues that may be problematic for third-party after-market equipment that don’t follow a similar process. Finally, Bi-Fuel™ generators can be used as part of Generac’s innovative MPS. While it is well-known Generac’s MPS provides redundancy, flexibility and scalability in a modular type paralleling system, MPS also provides the ability to mix and match gensets. “Our Bi-Fuel™ gensets can be paralleled with other bi-fuel, diesel or natural gas units, providing customers with a variety of possible solutions,” said Sweeney. Most recently, 3 x 600kW Generac Bi-Fuel™ generators were installed at a Midwest natural gas utility, as the customer wanted to obtain the benefits of running cleaner natural gas while still meeting the code requirements for on-site fuel storage. If you would like more information about Generac’s Bi-Fuel™ generators, contact us. *Some manufacturers refer to bi-fuel and dual-fuel engines interchangeably. Generac uses the term bi-fuel for the simultaneous combustion of both diesel and natural gas fuels, whereas dual-fuel is used to describe a system in which liquid propane vapor serves as a backup fuel source in a natural gas system. For many applications, backup power systems protect a company’s business investment. During periods of utility power loss, these systems secure ongoing revenue, retain customers, prevent product and information loss, and maintain a safe and secure environment. For hospitals, however, the impact of the emergency power system is literally ‘life and death’. During natural disasters, the emergency power system must allow the hospital to defend-in-place for multiple days until help can arrive. For these reasons, the design of hospital emergency power systems gets significant attention within codes and standards, as well the design community. The essential power system in a hospital is comprised of multiple code-specific circuits connected back to a common generator system. The essential power system is comprised of emergency loads for life safety and critical load support. The life safety circuits are focused on getting people out of the building during events like a facility fire; these include items such as egress lighting, exit signs, automatic egress doors, fire detection and alarming, and generator accessories. The critical circuits directly support patient care and are often identified by the red receptacles or dedicated branch circuits; these include items like anesthetizing gas, medication support, nurse stations, and blood and tissue support. Both life safety and critical circuits are classed as emergency systems, requiring power to be restored within 10 seconds, but for hospitals (assuming over 150 kVA) these circuits are separated onto different transfer switches. The essential power system also includes essential equipment circuit(s), consisting of medical imaging, building systems for heating, air handlers, exhaust fans, smoke control and stair pressurization. These circuits are separated onto their own transfer switches and are required to transfer at appropriate time-lag intervals. Additionally, many hospitals have non-essential equipment circuits that are classified as NEC 702 optional standby loads. One of the most common examples of this load type is building cooling which is often deemed necessary for hospital sustainability in many parts of the country. Many system designers include 60% of the chiller capacity onto the generator system. In reviewing NEC 517, items like stair pressurization that are normally part of the emergency system are reallocated to the equipment circuit, and NEC 517.26 specifically claims the ability to amend NEC 700 emergency requirements. As a result, the requirements for emergency system sizing, selective coordination, and separation of circuits are all amended and applied differently in healthcare. Selective coordination is the process of selecting and locating overcurrent protective devices, so the device closest to the fault trips, minimizing the impact to the entire system. Traditionally, in the first round electrical design, thermal magnetic breakers are utilized. These breakers typically require a 3:1 ratio between breaker levels to support coordination. As the design progresses, it may be desirable to compress the resulting breaker range from source to load by using electronic LSI breakers. Additionally, these types of breakers have greater control of trip characteristics allowing the steps between breakers to compress to a 2:1 ratio. Compressing the breaker range helps align the size of the generator breaker with the size of the first level of feeder breakers. For example, if a 1000kW generator has a 1600 electronic trip breaker, the largest equipment circuit feeder has the potential to be limited to 800 amps. To accommodate this constraint, most hospital projects result in multiple transfer switches per load type, creating the load separation needed to support selective coordination. Selective coordination has been a much-debated topic since its implementation onto emergency systems and legally required standby in the 2005 NEC. The division and disagreement created through the NEC 700 & 701 adoption continues, and healthcare system designers and code committee members continue to push back on the tight requirements for selective coordination. Recent updates, including NFPA 99 6.4.2.1.2.1 and NEC 517.30(G), now allow healthcare design engineers the flexibility to not selectively coordinate below .1 seconds. These are more relaxed than those required in NEC 700 & 701 which requires coordination in a thermal magnetic breakers instantaneous range (typically to .01 sec). Putting it in the context of a hospital, bolted 3-phase faults generate the highest level of fault current, but the vast majority of the faults are low level, line to ground shorts. Systems that coordinate the bolted 3-phase fault during the first .1 seconds may actually result in a less safe system (much higher arc flash potential) and be less optimized for the typical electrical failure. Imagine you are in intensive care in a hospital and your breathing is being assisted by an electrically operated ventilator that is quietly humming next to your bed. Suddenly the humming ceases because the ventilator has stopped working, and you begin struggling for air. The ventilator begins again for a few seconds—and then stops completely. This frightening situation was reality for a number of patients at one hospital. This article describes a hospital power outage and discusses what could have been done to prevent it. A lengthy chain of events led to this critical point, but it all started with overcurrent devices for the facility that were not selectively coordinated and a motor winding faulted to ground. This hospital had completed a coordination study some time ago, but its implementation had been delayed due to various department managers’ refusal to permit a scheduled, area shutdown during the evening. The areas experiencing an outage would be transferred to emergency power during the outage time or, in the case of emergency circuits, they would continue to have normal power but emergency power would be unavailable during the time required to set the breaker trip units. The problem began when the windings of 20-hp induction motor faulted to ground. The motor happened to be driving a fan in an air handling unit and was connected to the equipment system branch of the essential electrical system. The associated motor starter was located in a multisection motor control center that served the essential mechanical systems for several floors of one wing of the hospital. The heater element in the starter was sized larger than appropriate for the motor full-load current, so the overloads did not disconnect the motor starter when the winding faulted. In addition, the motor branch circuit, short-circuit, and ground-fault protective device did not detect the fault and, therefore, did not trip the motor and starter off the electrical system. As the ground fault traveled upstream, the feeder breaker in the distribution panel was a standard breaker (without ground fault), so it also did not detect the ground fault in the motor. The lower level fault current in the phase conductor was too small to trip this feeder breaker, so the ground fault continued upstream. The substation feeding this portion of the distribution system was a typical, liquid-filled 5 kV 480/277 Vac transformer with both main and feeder breakers, which are both power-air breakers. When the feeder breaker saw the ground fault, the fault current was too small to be detected by the breaker tripping elements. The substation was equipped with two-level ground-fault detection in accordance with National Electric Code (NEC) 517.17 (B ), which requires that both the main breaker and the first set of overcurrent protective devices (OPD) downstream from the main have ground fault. The random factory breaker trip settings were still in place, so the trip levels and timing on the ground fault detection for the feeder breaker and the main breaker were reversed. Thus, the main breaker tripped on ground fault, shutting off power to all the normal and essential electrical system loads served by the substation. The transfer switches for the essential electrical system detected an absence of normal voltage and transmitted a signal to the emergency generators, which promptly started. These generators were connected to an automatic paralleling system, which closed onto the first generator that came up to operational voltage and then paralleled the remaining generators onto the emergency bus. Power was then restored to the emergency side of the transfer switches, which had lost power due to the substation main-breaker trip. The transfer switches sequentially transferred from the de-energized normal source to the live, emergency source, with the life safety branch transferring first within its requisite 10 sec. Emergency, exit, and egress lighting were immediately restored. The critical branch transfer switch then timed out and transferred to emergency power, which reenergized the nurse call system, ventilators, and other critical care loads. Finally, the equipment system branch transfer switch transferred to emergency power, but this is when other problems started to occur. When power was restored to the motor control center, the starters began automatically restarting their respective motors. However, when the starter for the faulted motor closed, the winding ground fault was still there because neither the overloads nor the starter OPD had taken the circuit offline. Back went the ground fault through the distribution panels, transfer switches, emergency distribution, and finally to the main paralleling equipment. The feeder breaker from the paralleling equipment had been designed or was supplied with ground fault tripping and, upon sensing a ground fault, immediately tripped, removing all emergency power to the essential electrical system loads. The reasoning behind NEC Article 700.26 concerning the use of ground-fault tripping on emergency circuits is apparent. More than two hours later, power was restored to the four floors that had been completely black. The hospital personnel had to restore power by identifying the faulted motor and taking it off line. Once the fault was cleared, emergency power was restored to the area so that the chance of harm to the patients was minimized. Then the feeder breakers in the substation were turned off so that the initial power surge would not damage any equipment. After energizing the substation, the feeder breakers were sequentially closed re-energizing each of the distribution panels and motor control centers. As normal power returned, the transfer switch controls initiated the timed sequence for their loads to return to normal power, and the generator cool-down procedure started. So that patients on electrically powered ventilators could continue to breathe, all available nurses were called from other parts of the hospital to provide manual ventilation during the outage. Due to these efforts, there were no patient deaths or injuries. The NEC requires that overcurrent devices in emergency distribution systems be selectively coordinated. Specifically, NEC Article 700.27 states, “Emergency system(s) overcurrent devices shall be selectively coordinated with all supply side overcurrent protective devices.” This sentence refers to health care emergency systems, whether the life safety branch or the critical branch overcurrent devices (see Figure 1). If the phrase, “Emergency distribution system” had been “Essential electrical system,” then the breakers feeding the equipment system branch also would have to be included under this requirement. Automatic doors that must be energized to allow them to function. Additional illumination and selected power circuits not previously listed required to assure effective hospital operation. Article 517.17 of the NEC , paragraph (C)—Selectivity, requires that “Ground-fault protection (GFP) for operation of the service and feeder disconnecting means shall be fully selective such that the feeder device, but not the service device, shall open on ground faults on the load side of the feeder device.” This section appears to require that the GFP be selectively coordinated for emergency systems as well, as it does not delimit this requirement to any one system. If the motor overload element had been closely sized to the motor characteristics, if the substation ground fault protection was properly coordinated, or if the ground fault elements were not included in the emergency distribution system, this incident never would have occurred. However, performing a full, selective coordination study is not enough; implementing the study so that all of the settings are made on the respective breakers and the fuse types are adjusted so that the system is fully, selectively coordinated. If maintenance outages on the power system cannot be scheduled, a facility inevitably will be performing maintenance during outages. In this case, the coordination study settings were implemented once the hospital could schedule the electrical service organization to do so. Everything was adjusted within two months of the incident. The rules, regulations and codes that govern the installation and maintenance of generator systems are complex. 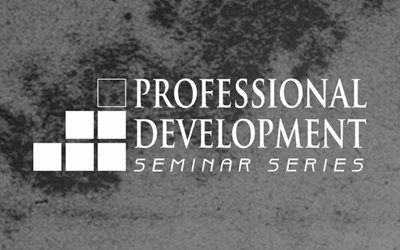 Companies and organization looking for a convenient and productive format to enhance their team’s understanding of generators should consider scheduling one of our Professional Development Seminar Series (PDSS) classes. Detailed course descriptions can be found by downloading the PDSS course catalog. ESSE offers PDSS sessions which last about 90 minutes. This makes it easy to schedule them over an extended lunch hour or early breakfast morning session. The course is followed by a 30-minute online assessment which can be completed at the participant’s convenience. If you would like more information or want to schedule a PDSS contact us. You may also call 855 GEN ESSE or email mike.evans@essellc.com.